Smartphones and tablets and bringing back to life genres and gameplays that have been buried for decades. Why? Basically, due to its touchscreen which introduces new controls and in most cases, much more fun. 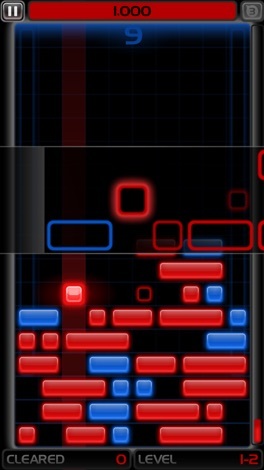 Slydris is one of those games, featuring a new gameplay based on the classic Tetris. In Slydris, instead of placing block as they fall down to make lines, players must slide the blocks and let it fall to complete the line. Each move will make new blocks appear upwards even if no lines were cleared. 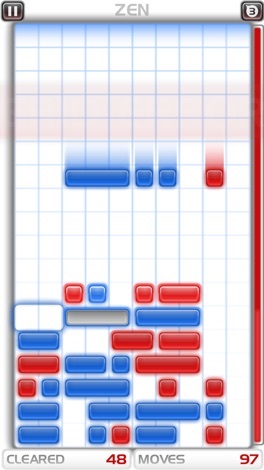 Try to slide blocks in the right way and clear lines in combos to avoid blocks to reach the top of the screen. When that happens, the game is over. These are the basic of the game, however, there are lots of details to take into account: combos, color match, blocks added automatically from the bottom, unmovable blocks... and many other that you'll discover as you play. No worries, there's a step-by-step tutorial to get the hang of it quickly. 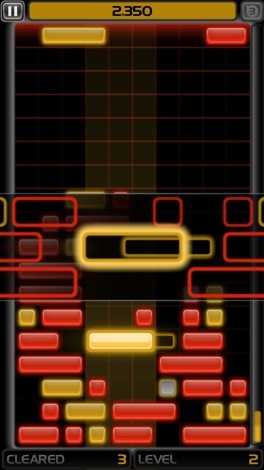 In addition, you can play up to three game modes: Infinite Mode (new blocks drops after every move, clear 25 lines to level up), Zen Mode (similar to Infinite Mode but without socres or achievements, play at you own pace). 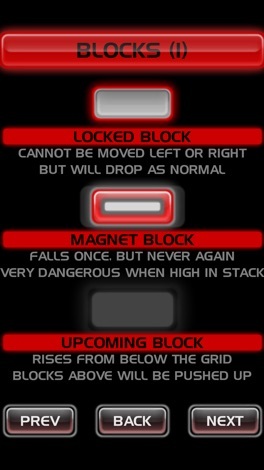 Survival Mode (time-mode, you have 10 secons to make as many moves as you can before blocks drop down). The game features simple yet cool graphics, with a retro touch that makes it even more engaging. Screentouch response is excellent, no complaints at that point (that's actually the keystone of this game). Gameplay is such addictive that it will keep you glued to the screen for hours.